Junior Kensley Walters is a level 9 gymnast. She stood at the edge of the mat going through her routine over and over in her mind. Her stomach was filled with butterflies as she took, a deep breath… well more like five. 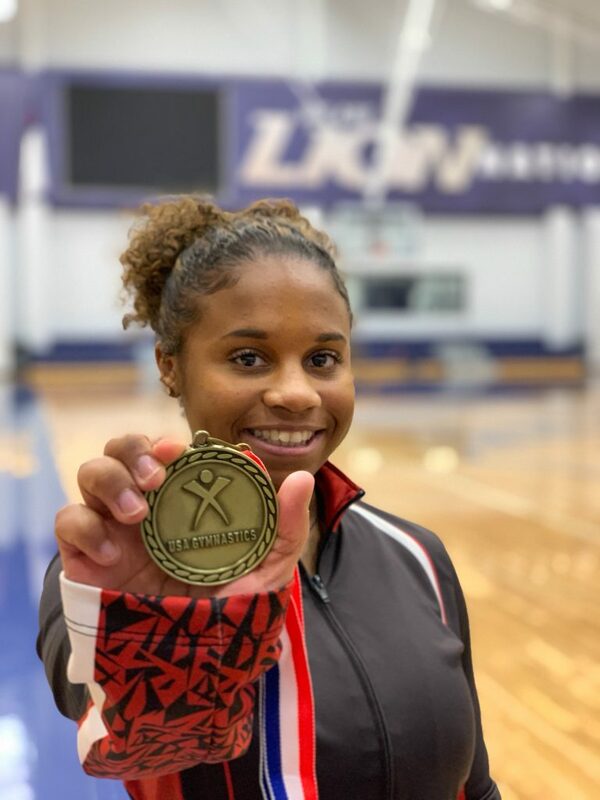 (Photo by Mackenzie Ford) Junior Kensley Walters displays her gold medal she won for the Texas level 6 competition in 8th grade. This gold is a goal-reminder of why she competes so intently for level 9 competition this year. The floor routine is Junior Kensley Walters’ favorite, and she dominates it. Walters has a unique skill. She is a champion gymnast, who gave the sport a try quite late in the game. Waiting is part of this sport. When one competitor steps up to compete at an event, they must wait for the judges to finish paperwork from the last gymnast. “The wait is nerve racking, every gymnast knows that,” said the 16-year-old Kensley. Many girls start gymnastics before kindergarten. Kensely, on the other hand, waited to even try the sport until 5th grade! “It came natural to me,” said Kensley. This 4’7” phenom had to practice harder and longer in order to catch up to her other teammates. In gymnastics, competing at a high level is a difficult feat. Long hours, hard work, a little sweat, and a load of dedication is the recipe for success. Thankfully, Walters is a great chef when it comes to gymnastics. In 2016, Kensley won the Texas State Level Six Championship. (Photo by Mackenzie Ford) Now a level 9, which is staring at Olympic level 10, Kensley competes weekly. There are ten different levels in gymnastics. Level one describes a beginner and level ten describes an experienced and skilled gymnast. On some days Walters devotes five hours towards her training. “I feel like no one sees how hard she works and how much she sacrifices her time,” said close friend Junior, Chandler Tolliver. Unfortunately, practice hours often limit her available social time. “I don’t get to attend many basketball, football, or volleyball games.” says Walters. In order to get involved with school activities, Kensley is a member of the Yearbook staff. As a part of the staff, Walters takes photos at certain school events. Photography is her favorite thing about being in Yearbook because it allows her to channel her creative personality. 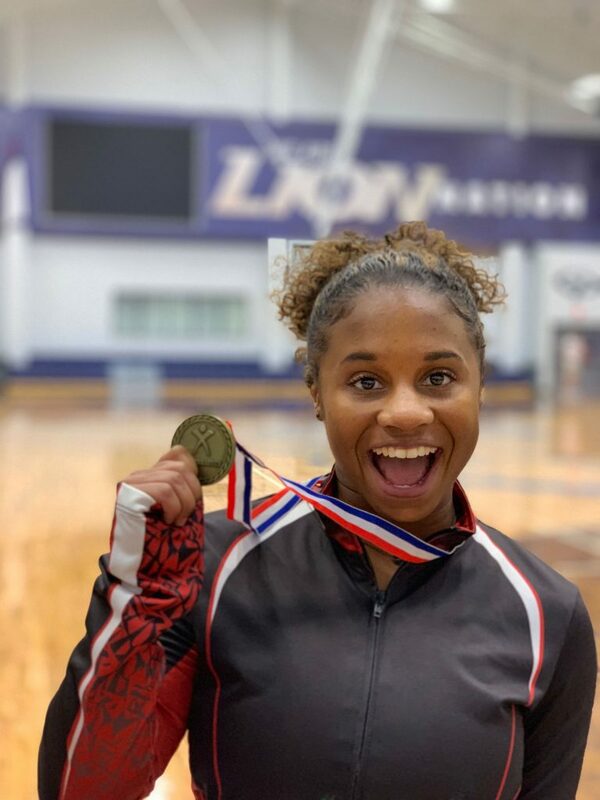 “Kensley attacks her projects in school with energy and creativity, just like she attacks her floor routines in gymnastics,” said Yearbook teacher, Stephanie Hall. Walter’s favorite gymnastics event is the floor routine. Picking her own music and adding dance to her floor pattern is the best way to express herself. “[Floors is where] I get to show off my personality,” she said laughing. On the other hand, Bars is her least favorite event, and the one she has to work the hardest at, she says because the bars themselves play a role in the routine. That’s the mindset she has to keep in order to stay focused and perform well. 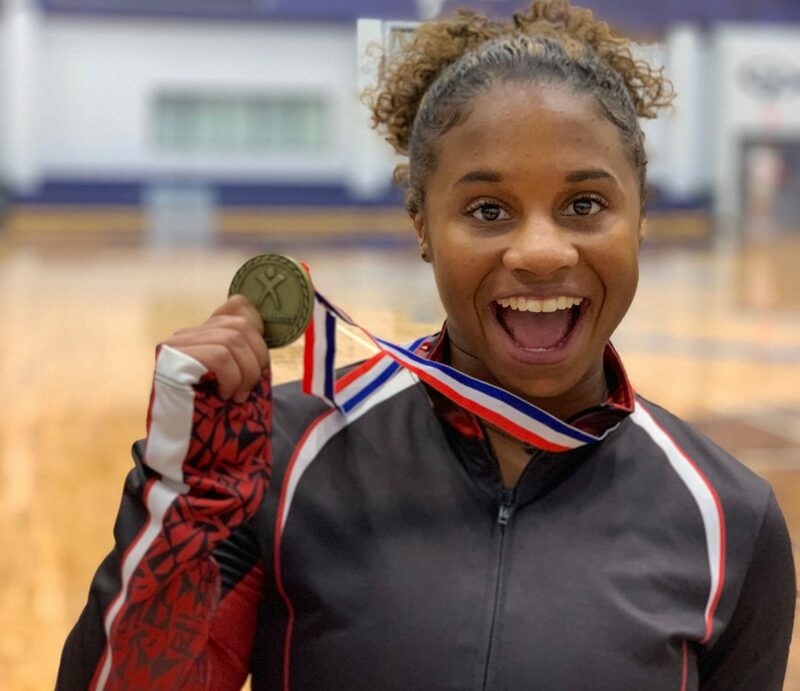 Gymnastics has molded Walters into a model of perseverance, determination, and humility for her fellow peers. Kensey’s determination and hardwork has paid off, as she is now a level nine gymnast, so close to Olympic level 10! Just this passed week, February 8, Kensley placed in the top three out of 16 competitors! She hopes to compete in college after high school, and is continuously working hard to make that dream come true. Written by: Sage Post on 12 February, 2019.